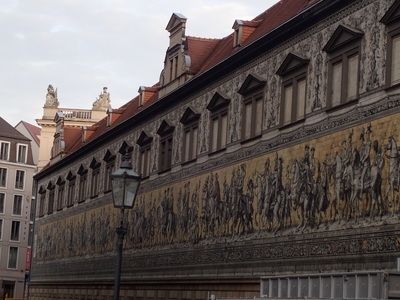 With the Neo Nazi marches and terrorism in Charlottesville still fresh in memory, I am reflecting on another city, where the extreme-right regularly march: Dresden, which was my first major stop after Berlin. 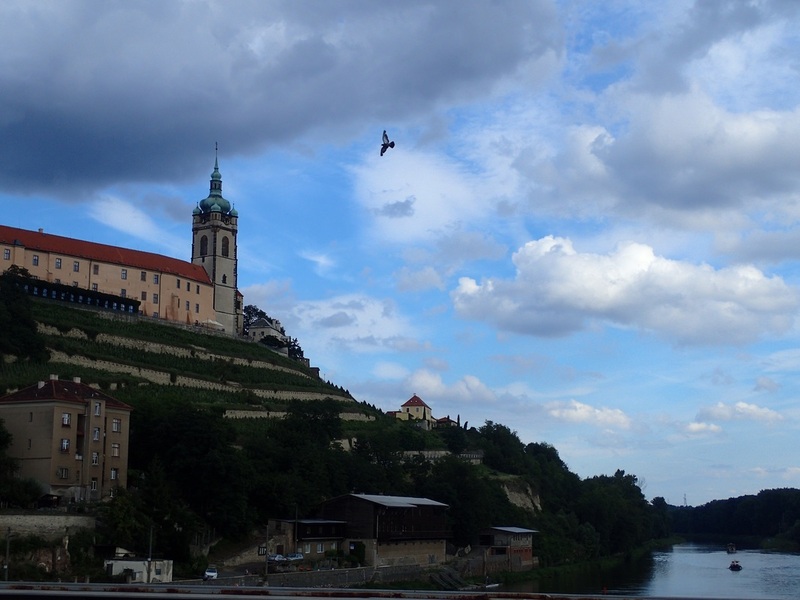 Dresden is situated in the heartland of Sachsen, the wealthiest of the former East German state. Recently, the city rose to fame for weekly demonstrations by a German nationalist, anti-Islam, far-right political movement: the Patriotic Europeans Against the Islamisation of the West ( PEGIDA). During the height of the refugee crisis, PEGIDA drew a considerable following in the Sachsen, including a Neo Nazi following. A genuine desire to understand how locals felt about the resurgent homegrown extreme right movement in their midst inspired my visit. Biking to Dresden, I biked through three former East German states, Brandenburg, Sachsen Anhalt and of course Sachsen. The towns I passed seemed quiet and forlorn; the population seemed older and skeptical at first interaction, as if guarded in the face of an outsider. Many were genuinely puzzled why a young woman would bike through their towns. The infrastructure was fabulous, testament to Germany’s post-unification investment in the East. I was curious about the marked difference in attitude towards migration and diversity between the East and West German states. In the last elections, the German’s right-wing, anti-immigration party, Alternative für Deutschland, garnered impressive gains in the terrain of the former communist German Democratic Republic (GDR): 24% of the vote in Sachsen-Anhalt, 21% in Mecklenburg-Vorpommern, significantly higher than in Western states, where it ranges from 5,5% (Bremen) to 15% (Baden-Württemberg). The former Eastern states also sport higher rates of racial violence. Though only 21% of Germans live in the former GDR, over half of right wing and xenophobic attacks occur there, often in broad daylight. Last year, in Sachsen-Anhalt for example, victim support organizations for right wing violence reported right-wing 265 attacks affecting 401 victims, including 45 refugee children. Sachsen-Anhalt only hosts 2% of Germany’s refugee population. These differences between East and West are even more significant when one accounts for the small numbers of refugees housed in the former DDR. The distribution of refugees across Germany is determined by the Königsteiner Schlüssel calculus, which distributes the refugees to federal states according to their tax income and population. Consequently, East German states only take in about 16% of refugees. Sachsen, the wealthiest East German state, takes in 5% of all refugees. How could such small numbers inspire such virulent opposition? Analysts often point to historic differences between former East Germany and its democratic Western counterpart. For one, there is a different migration history. Another reason is the different approach to the Holocaust. Some cite economic reasons, but youth unemployment rates in the East have been declining faster than in the West. The Eastern economy appears robust, which discredits it as a driver of right wing populism. East Germany had fewer migrants and the DDR managed immigration tightly, both in terms of numbers and in freedom of movement. Immigrants came from fellow communist countries according to bilateral agreements: they were called contract workers, a term that is even more alienating than the West German term of guest workers. At least, guests require hospitality. Around 93,000 came from allied communist countries in Asia, Africa and Latin America countries. Their contracts were temporary, and they were required to stay in segregated housing. The interaction with Germans were surveilled and limited: for example, women, who became pregnant were required to abort and were deported. ​This contrasts with the waves of guest workers that supported the West German economic boom in the 1960s and 1970s, first from Spain and Greece and later from Turkey. Arriving to in response to German demand for cheap labor in flourishing post-war economy, many of the 2.7 million Turkish guest workers stayed and either brought their families or intermarried. The result is that in the West German states around 12% of voters have a migrant background in contrast to just 1,7% in the East German states. As challenges to integration came, civil society in the West organized around these issues. Much of the current Willkommenskultur has its roots in this slow but persistent organizing on behalf of civil society. Differences in approaches to the Holocaust. Another important difference that analysts like to highlight is the difference of Holocaust remembrance in the DDR versus the West German Republic. In the West, a de-centralized and diverse practice developed around remembering the Holocaust. The student movement of the 1960s demanded a critical confrontation of the past. Consequentially, public discourse wrestled with Germans as perpetrators or enablers. A focus on fostering civic values, which would prevent future authoritarianism, developed. West Germany had an imperfect, often contrarian, but ultimately transformative remembrance discourse. The process is described as Vergangenheitsbewältigung, which translates to 'a wrestling with and coming to terms with one’s past.' Both political leadership and civil society played a key role in this process. ​In contrast, in the East the process was centralized and focused on the creation of a communist patriotism: therein, the emphasis was on the suffering of the communists at the hands of the Nazi regime, and on the evils of fascism. In the creation myth of the DDR, East Germans were portrayed as communists, who either courageously fought the Nazi regime or who suffered at the hand of the Nazi regime. They were neither perpetrators nor bystanders. As only few Est Germans had participated in the resistance, the state had to construct this new national identity through rituals and memorials. Countering narratives were suppressed. Consequentially, there were only sparse attempts by civil society, such as churches, to commemorate the genocide and to recon with the antisemitism. Which one of these factors most resonate with people, I wondered? 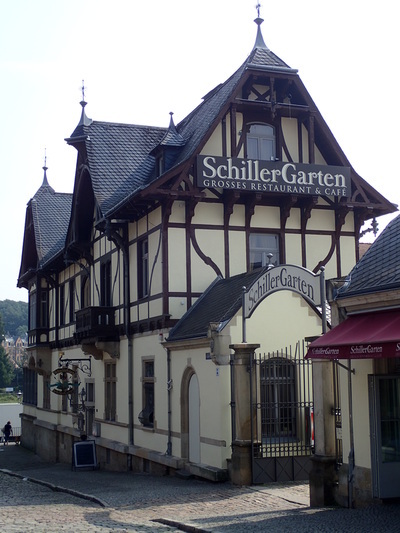 The polarization of the differences was notable in Dresden. I observed men casually walking along the streets sporting shirts celebrating Hitler’s legacy. It wasn’t their numbers, which jolted me, but the ease with which they showed of their ideology: nobody seemed to bat an eye. When I asked my conversation partners, there was an uncomfortable chuckle and a throw away phrase, “that’s normal here.” I learned of a German term Nipster, referring to Neo Nazis, who have modernized their wardrobe to mimic the hipster look. The normalcy of Nazi symbols were discomforting and disorienting. When I asked locals about the roots of the strong extreme rights culture, locals focused on the early 1990s: they described a disorienting loss of civic structures in unified Germany. Neo-Nazis were the first to organize in this vacuum. The extreme right thus offered some stability and community. People talked about how the local and federal intelligence failed to take the right-wing threat seriously. Germany has both federal and state bureaus focused on protecting democracy, called Verfassungsschutz (which translated to protection of the constitution). They gather intelligence on threats concerning ‘the democratic order, the existence and security of the federation or one of its states, and the peaceful coexistence of peoples.’ However, they were slow to respond to organizations, such as The National Socialist Underground, a far-right German terrorist group responsible for a series of murders of immigrants. Anti-neo Nazi sign on a store front. In translation: Stopp! Stupidity will not be serviced. For a Dresden free of Nazis and violence. 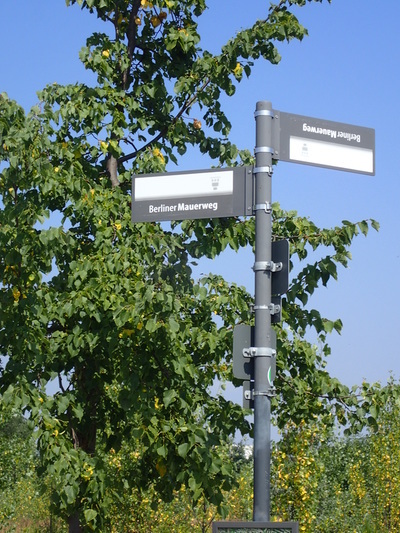 The counter movement is also visible in Dresden. In PEGIDA’s heyday, the counter-demonstrations drew masses that dwarfed PEGIDA's numbers. Now, the counter-marches are much smaller. People said that direct confrontation did not appear to be the most productive strategy for change. Instead, activists focus on pro-active measures to welcome refugees. 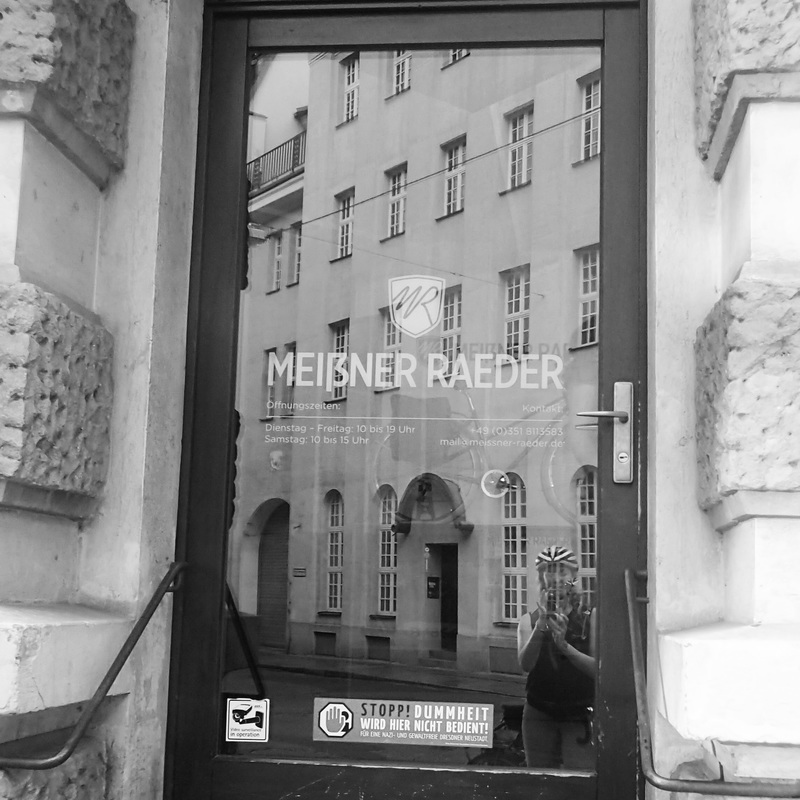 For example, Dresden has welcome cafes for refugees, in which German and refugee families mingle socially to facilitate integration. Shops sport derisive signs saying Neo Nazis are not welcome, indicating that businesses are taking a firm stance. Those, who march, find non-violent and humorous ways to de-legitimize the extreme right. These efforts were inspiring. 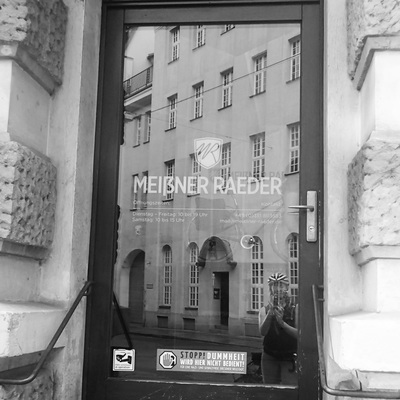 I left Dresden feeling that the city is changing, and that its people are engaged in the process. ​Finally, with Charlottesville still fresh, I also want to underline that there are also differences in the U.S. and German situation: in the face of PEGIDA’s hate speech, the German political leadership shows no equivalence. Major parties of all shades continuously and vehemently condemn any speech that foments xenophobia or condones violence. Glorification of past violence is remains off-limit in the political mainstream. Germany's commitment to learning from the past in order to foster a civic culture for the future ensures that the extreme right remains at the margins of political culture. Finally, bearing arms at public demonstrations would be unfathomable. Lately, the situation along the Hungarian-Serbian border has received quite a bit of negative news coverage. This has prompted me to skip ahead in my chronicles of my journey through Europe to the last and maybe most emotional stop. Since my travel there, the situation has become increasingly polarized, with the refugees suffering as the governments of Hungary and Europe stand-off in a political fight. I hope to write a nuanced portrayal that focuses in on some of the personalities I encountered at the border. Recently, Hungary updated its border fence with electric shock capacity, heat sensors, cameras and loudspeakers to warn-off intruders. All this in addition to the previous fence constructed in fall of 2015, and the massive security operation involving 10,000 police and soldier patrol. 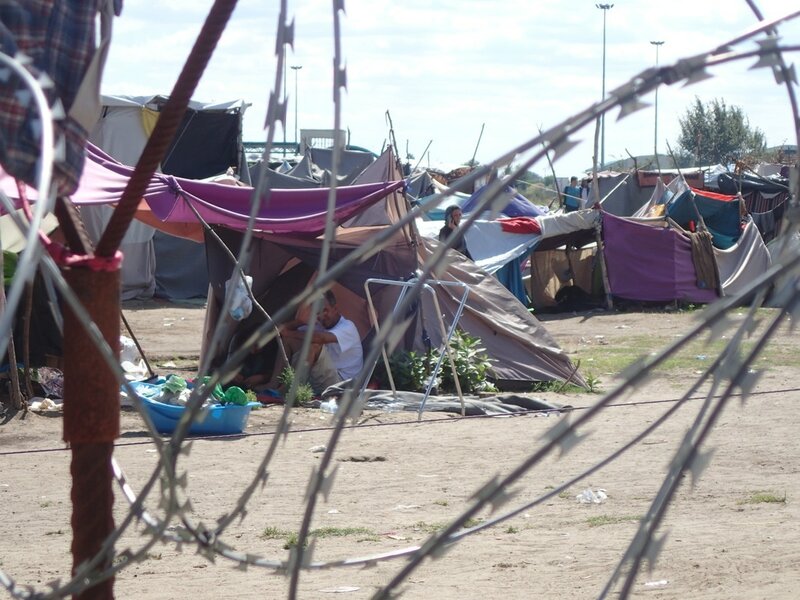 Since the erection of the original fence, around 8,000 migrants have been stranded in Serbia. Hungary is also constructing more transit camps, and has enacted legislation, which approves the detention of all migrants in camps. The upgrades come on the heels of international condemnation regarding Hungary’s treatment of migrants and refugees. Oxfam released a report this week, in which they documented widespread abuse of the migrants by Hungarian police. This includes episodes of police forcing migrants in detention to strip naked, and sit in the snow, while officials douse them in cold water. Doctors without Borders (MSF) also documented the injuries they have been treating, which point to systematic, brutal abuses. 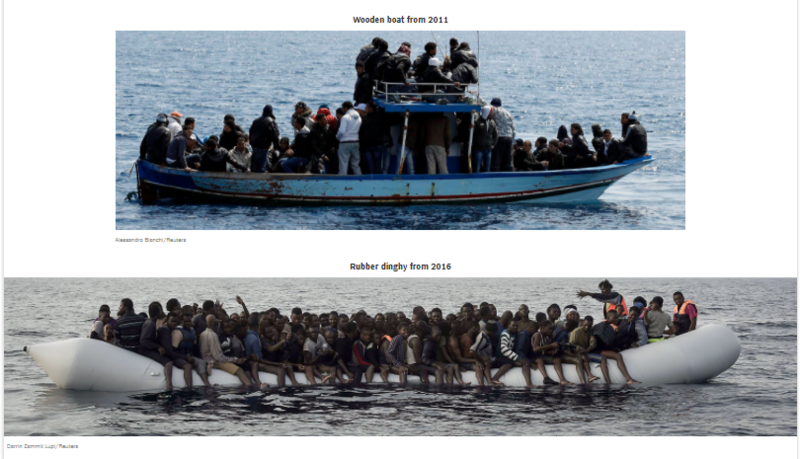 Anecdotes include refugees forced to lie on the ground, while border guards stomp on them. 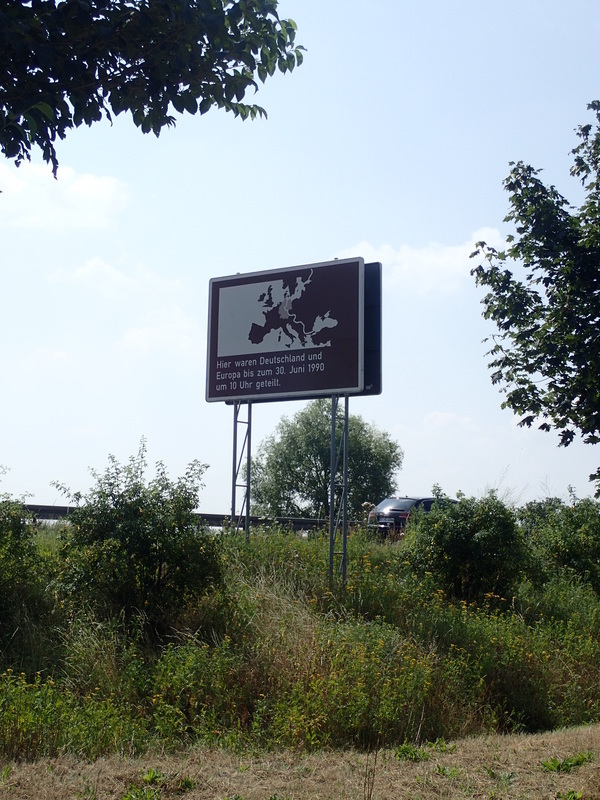 Such imagery along the border of the European Union gives pause; it is deeply at odds with European values. MSF referred to this abuse as a “a ritual of brutality at the European Union's own border, designed to stop people from trying to cross again.” Hungarian advocacy groups are calling for investigations into the nature of the abuses. ​When I visited the border, I learned that the Hungarian government rotates the Hungarian border police and military in short regular intervals: they are recruited from other regions in Hungary, far from their community and families. Whether by design or not, this law enforcement strategy ensures that border patrol is a short-term job and that the exposure of individual officials to the refugees is limited. Even though refugees reside in camps sometimes up to 15 months, they remain just passing strangers to the officials on rotation. I could not personally speak to the border patrol, or take pictures; my presence was against the law. Let me back-track to July 2016. 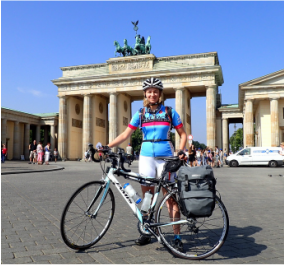 I have just finished an 800-mile journey from Berlin to Budapest, which took an extra week than planned. At this point, I knew I could not bike to the border within my time frame. I nearly skipped the last stop, but it was all the kind people I met in Budapest, who urged me on. We don’t know, who to believe- the international media, or the local media, some said. Hungarians don’t have easy access to the border, and increasingly difficult access to independent news. Hungarian government has made the border a restricted military zone: no one is allowed near without permission. Yet, anti-migrant vigilante groups activities are tolerated. In the meantime, Victor Orbán’s government has launched a persistent propaganda campaign against the refugees. Through steady government interference, Orbán has limited press freedom significantly. Simultaneously, starting in early 2015, he utilized the refugee question to deflect criticism of corruption, and to whip up nationalist sentiments. 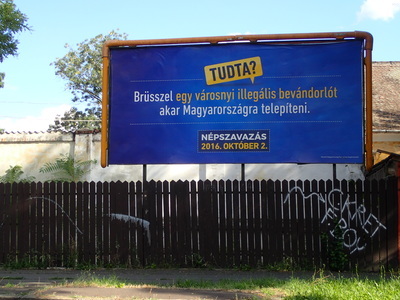 Spending tax-payer money, his government sent out letters of disinformation about refugees to 8 million Hungarians; rolled out a misleading poster campaign, and organized a referendum on the refugee resettlement question. In short, the government has opportunistically utilized the refugee crisis to fuel its own popularity. This has elicited a polarized response, with liberal human rights activists engaging in resistance and solidarity work, nationalists enthusiastically supporting Orbán and non-political Hungarians somewhere in between: uncomfortable and saddened with some of the international news, but also unsure how many of the Hungarian media claims are true. Who to believe? To help me answer this question, a Hungarian couple drove me the last leg of the journey to Szeged near the Hungarian-Serbian border. Their commitment is a stellar example of Hungarian hospitality. The more troubling the political situation along my journey, the more support and hospitality I received from people as well. In Szeged, I met with Migszol, a volunteer-run migrant solidarity group. 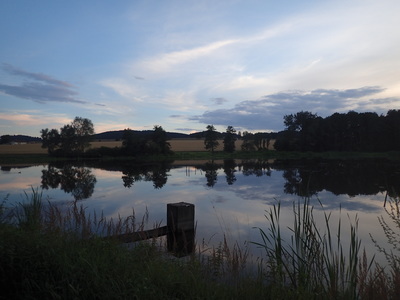 Migszol formed in the early days of mass border crossings in 2015 in response to the humanitarian emergency: the massive number of migrants without food, water, clothing and direction. They organized volunteers, received and sorted donations, and as more and more international humanitarians arrived, acted as on-the-ground coordinators. Over a Hungarian dish of lecho, they gave me an overview of how their organization came to evolve, and provided an overview of the political developments on the border. Migszol takes care to build relationships with the local police. Through those relationships, they gain access to the border as one of the few nonprofits. 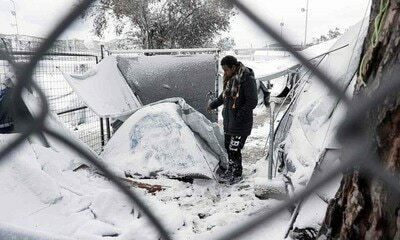 Without their coordination, the police and military would have blocked my access to the refugees. Migszol drove me to the border-crossing near the village of Röszke. 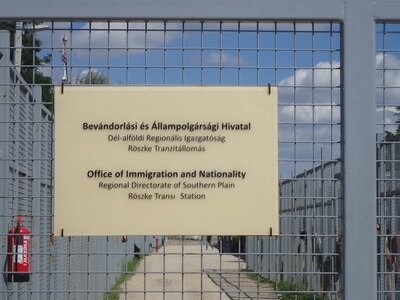 With the border fence erected, the Hungarian government has two official transit centers at the Serbian border. The other one is the Kelebia/ Tompa Transit point. The border itself was hot and dusty, and well patrolled: in the 90 minutes that we were there, at least one patrol came through, and stationary patrol kept an eye on me. Anytime I spoke too long to a refugee, they would saunter over. Directly at the border, there are around a dozen containers, which are reserved for single men. These, walled off with high fences, are under constant surveillance. Men sit in small shipping containers in incessant waiting. Since I visited, Hungary installed another 324 shipping containers between the two transit zones. They each sleep 6 men in bunk beds. I could not get access inside. Hungary built a detention camp nearby for families. 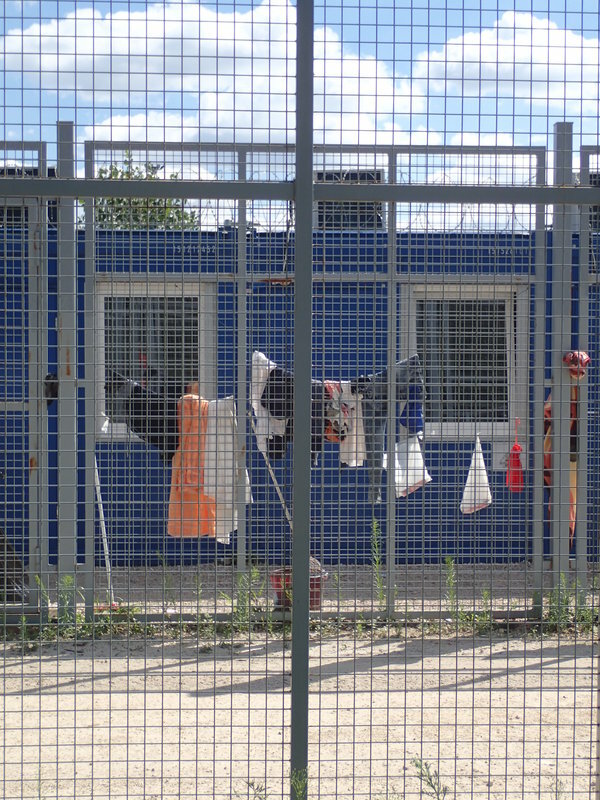 Every day, Hungary admits around a dozen of refugees into the caged transit area. These can submit their asylum claims. The asylum procedure takes about 4 to 9 months. Most refugees do not want to apply for asylum in Hungary; their prime destination countries are Germany, as well as France and the United Kingdom. 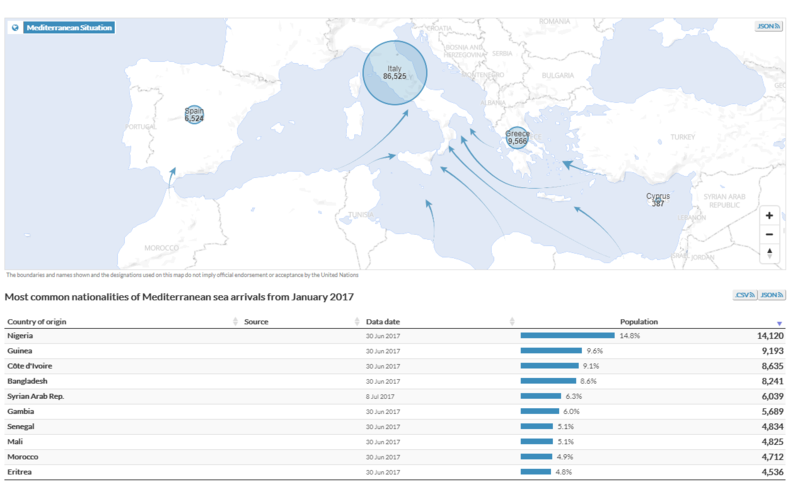 Together with Greece and Italy, those countries account for 80% of refugee applications in the EU. Hungary just passed legislation undercutting incentives for stay even more: Hungary does not permit refugees to work, does not offer financial support to those detained, restricts freedom of movement, and these actions together with the rising xenophobia, ensure that refugees want to travel on. That is why Merkel’s announcement in 2015 that her government would discontinue automatic deportation to Hungary, disregarding the EU Dublin rules, was so important: It decreased refugee anxiety over undergoing forced asylum applications in a transit country. Beyond the border fence, there is a narrow strip, which is still Hungarian territory. 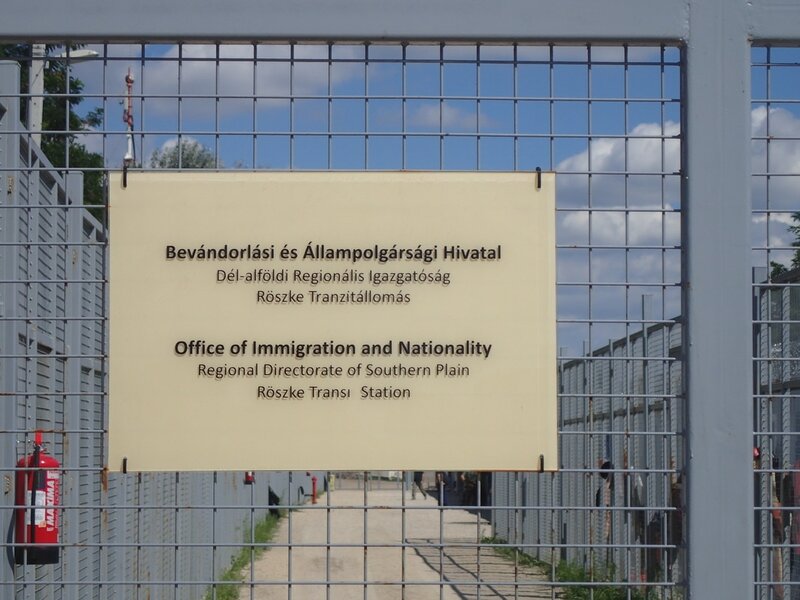 This way, when the government rejects an asylum application and deports the individual to the other side of the fence, they are not deporting them directly into Serbian territory. Hungary thus avoids having to report the deportation as such to the European Union. 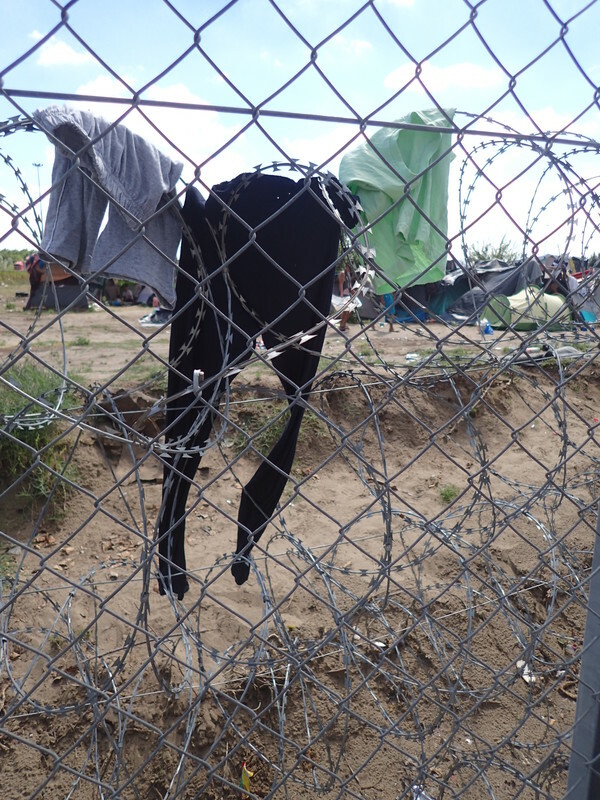 Across the border, people wild-camp in the desperate hope of getting into Hungary. In July 2016, when I arrived at the camp, BBC reported that about 850 people were wild camping in this unofficial camp. 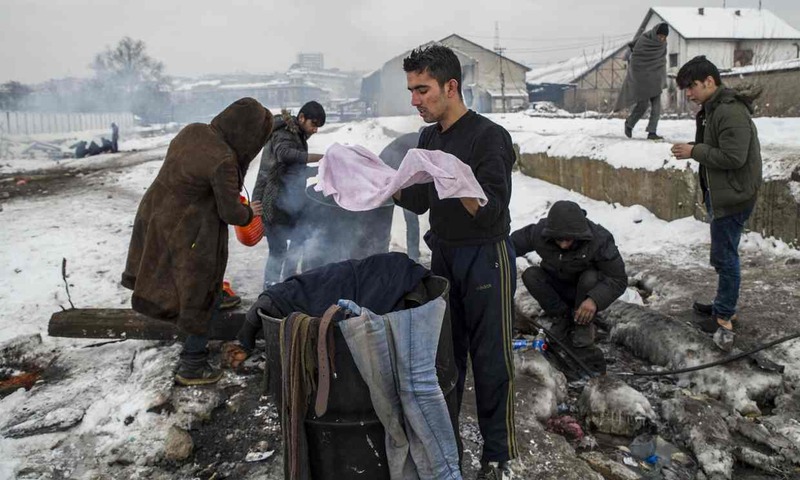 The Guardian reports that around 7000 refugees are stuck in Serbia, waiting to gain access now. From the fence, I could observe encampments for around 200 people. There were 12 portable toilets for their use. More refugees were in Serbian migration camps nearby. These are unofficial camps. Humanitarians visit and provide medical attention, but cannot have a steady presence. 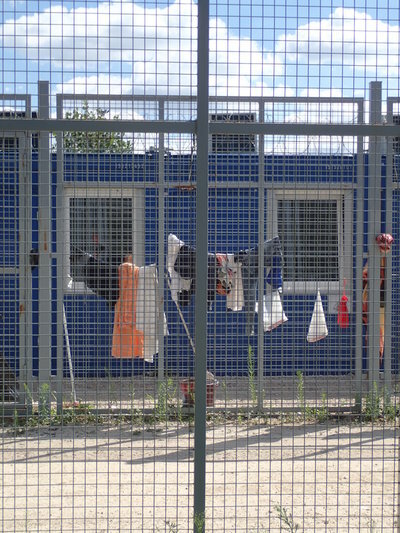 Serbia prefers for refugees to stay in official camps further from the border, whereas refugees hope that their immediate presence increases their chance of being among the 12 to 15 chosen individuals to enter the transit detention area, and maybe to be allowed to leave and travel on to Germany. Most migrants waiting at Röszke are from West Asia, and specifically Afghanistan, but also Pakistan and Iran: repeated displacement is common. As more Afghans flee to neighbor countries, the ability of local communities and economies to absorb them decreases. A mix of local hostility and lack of livelihood forces refugees to move again, in hopes of a safer place. I learned that the refugee movements self-organize along linguistic lines: Afghans travel via Horgos, and Syrians travel via Kelebia. I spoke to some West Africans as well, from Mali, who were excited to speak with someone in French. The refugees self-organized a steering committee in the camp. With 850 people waiting at the time to be one of the 15 admitted refugees, the community self-organized based on urgency: families with young children, the sick, the elderly, and those, who waited the longest get priority. Some had waited for over a year already. Speaking to refugees across the fence was moving: the family I spoke to was from Mazar-E-Sharif, in Afghanistan. I learned that kids create toys out of the discarded things, and find a way to occupy themselves in the dusty sand. Mothers ask for shawls and medicine. Those from the leadership council update Migszol on who made it into the caged transit area, and what other humanitarian organization visited. Refugees eschew talking about the journey, and emphatically avoid answering questions about their destination: if someone could prove that their destination is not Hungary, it could be grounds to reject their asylum claim. The official logic here is that a true refugee should stop at the first safe country, here Hungary, even if the country does not want them. I spoke to the men lingering in the caged area. Most did not want to be photographed: any documentation of their existence in Hungary could undermine their asylum claim in another country for the same reason. One men particularly stuck out: he spoke English fluently with a British accent. I asked, how come, and whether he worked for the British military in Afghanistan. Maybe, maybe not, I cannot speak to you about that, he answered with a smirk and a hint of irony that left me feeling that likely, he had. It is not uncommon for Afghans, who worked as freelancers for NATO as translators or guides to then be targeted for retribution attacks. Not recognized as official employees, coalition governments do not guarantee their safety, and do not provide preferential access to visas. Together with other refugees, they are left to fend for themselves on the same dangerous journey from Afghanistan to Europe on foot. Before the Hungarian military shooed me away, he added, just because I’m here behind the fence doesn’t mean I am so different from you. His words stayed with me. I left the border impressed by the resilience of the families and young men, who fled violence in Afghanistan, covered thousands of kilometers and waited for months in a dusty hot camp for the remote chance of access to a country, where their fate is increasingly political fodder for a nationalist government. I do not know, whether the people, to whom I spoke, made it to Europe, or got rejected. Afghan family from Mazar-e-Sharif. The mother requested shawls to keep her daughters protected from the sun and male gaze. ​Hungary has only doubled down on its detention practices, and it denies the abuses, despite the documented evidence. International institutions have also spoken out against current detention practices. 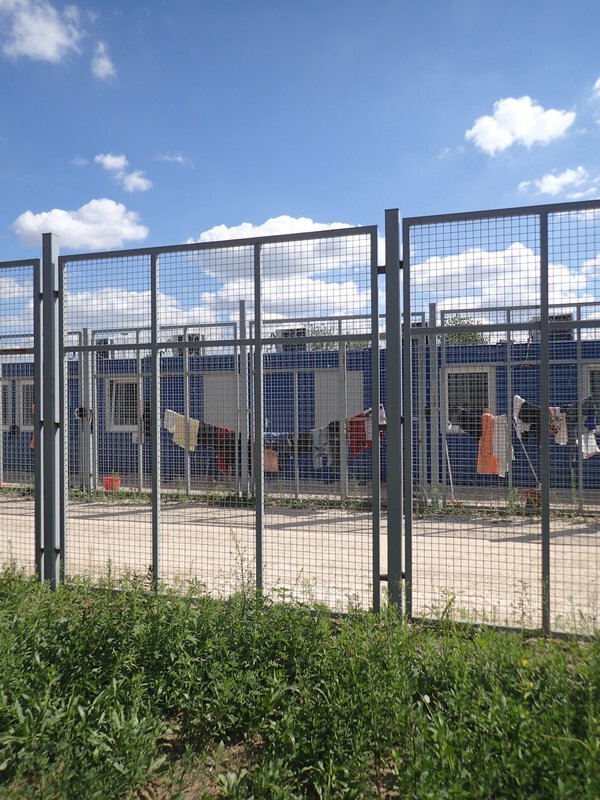 The European Court for Human Rights ruled in favor of two migrants, deciding that the Hungarian detention in the transit zone was unlawful. The United High Commissioner for Refugees reminded the government that the detainment of children contradicts both international and EU law. Indefinite detention without recourse often aggravates the mental suffering of people, who suffered trauma, and is particularly harmful for children. But Orbán’s government in a stand-off against the EU, the individual stories of those caught on the border are likely to be lost. I have no doubt that local organizations, such as Migszol, the Helsinki Committee and others, will continue to advocate for more humane solutions and raise awareness. I am deeply inspired and grateful for their work. ​Yesterday, the Hungarian people voted on a referendum on whether to oppose the European Union plan to resettle some refugees to the country. Those who voted – which at 45% is not much short of half of the Hungarian population – overwhelmingly rejected the refugee resettlement: 98% of voters voted against the resettlement plan. In order for the referendum to come into effect, voter turnout had to pass 50%. Even if the referendum took effect, EU law trumps state law. Thus, the legal standing of this vote was questionable, and it is more comparable to a symbolic vote. This explains perhaps why media coverage may have been lower than one would expect. 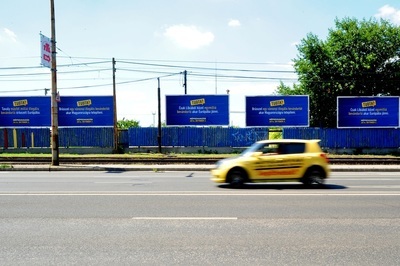 But the referendum is an important symbolic act, which epitomizes the current trends in Hungary. As Prime Minister Victor Orban was quick to point out: more Hungarians voted against the resettlement of any refugees into their country than had voted to join the EU (3.249 million votes were cast against refugees, while in 2003, only 3.056 million votes in favor of joining the EU.) This vote is an important marker of the mood in a country, which is at the front-line of Europe’s protectionist tendencies. Since I cannot write a lengthier analysis of the matter, I wanted to briefly contextualize why the vote matters, and link to some excellent articles for you to read further. I intent to write several detailed posts on my findings in Hungary from my research trip soon. The referendum, as it translates into English, asked voters: “Do you want the European Union to be able to prescribe the mandatory settlement of non-Hungarian citizens in Hungary even without the consent of Parliament?" The language, wordy and vague as it is, is hardly neutral. This was a referendum on the EU plan to relocate 1,294 migrants to Hungary. 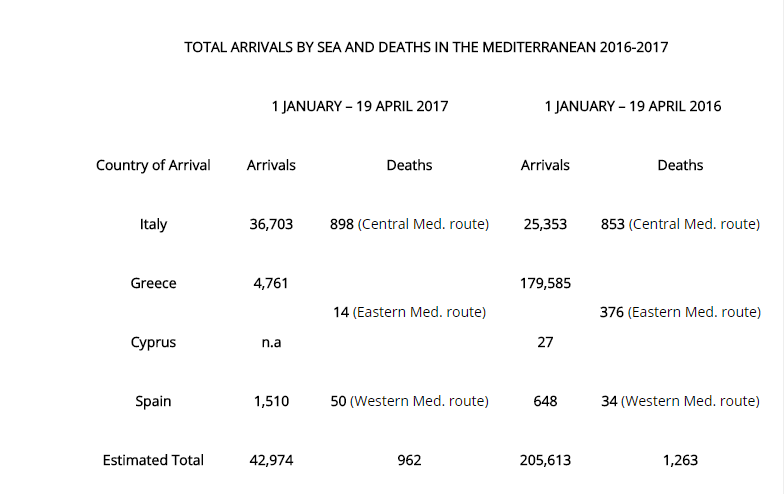 Last fall, the EU adopted an Emergency Response Mechanism, which set the quota based on a country’s size, economy and current refugee population (the EU designed a calculus that weight these as such: 40% of the size of the population, 40% of the GDP, 10% of the average number of past asylum applications, 10% of the unemployment rate). Hungary's responsibility was rather small. With a population of 9,875 million, the effect of integrating a 1300 people on Hungary's culture, cohesion and economy would have been minor. The vote matters for several reasons. One is that the vote epitomizes how the government has successfully led a powerful campaign, which build on and deepened xenophobia, nationalism and a strong opposition to immigration among the Hungarian population. The Hungarian President has launched a government sponsored campaign against any refugee resettlement that cost Hungarian tax payers $40 million against migrants. The fact that so many tax payers money is re-routed away from much needed social project into a symbolic campaign speaks volumes on the current political situation in the country. 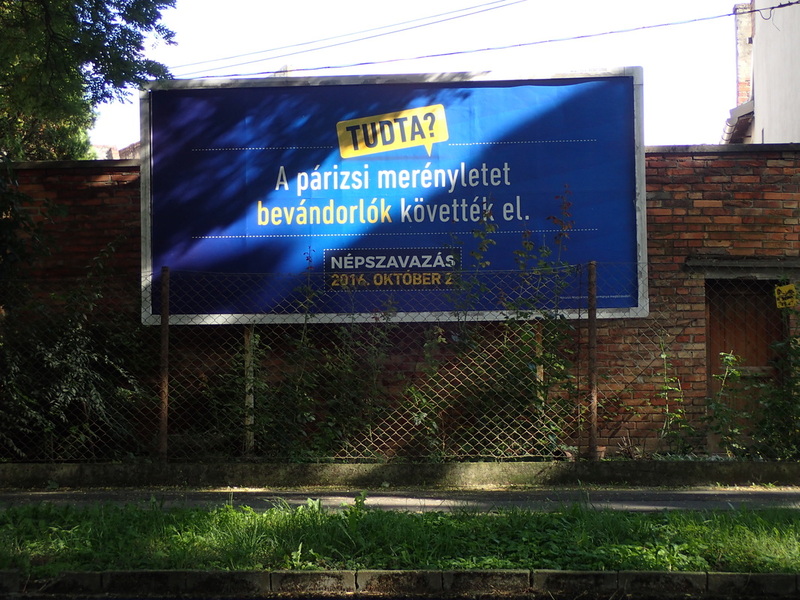 When I spoke to Hungarians, many noted that this misleading campaign has permeated Hungarian daily lives. One person mentioned how her children told her now that in Kindergarten, migrant was used as a swear word. Hungary exemplifies the sociological processes, when a government is using massive propaganda that, in my opinion, can be equated to hate speech. Beyond the local significance, the vote matters regionally. On the EU level, the vote affirms Orban’s determination to lead the Visegrad countries – Hungary, Czech Republic and Slovakia – in their opposition to any EU efforts to distribute the refugees, thus blocking reforms to Dublin System. In my previous post, I briefly outline the Dublin regulations, and why they are dysfunctional in the face of the current crisis. Princeton Professor Jan-Werner wrote an excellent analysis in the Foreign Policy, called Hungary’s Refugee Referendum is a Referendum on Europe’s Survival. He outlines how Orban is utilizing the referendum to distract voters from serious domestic problems (such as the corruption, the brain drain and loss of labor as Hungarians seek better chances elsewhere); how the campaign employed “emotional buttons” and Hungarian rhetoric around identity; and finally, how Orban is playing the EU skillfully: Hungary is among the largest EU subsidies, and yet, violates EU rules and actively campaigns against EU policy proposals. Jan-Werner's piece is an excellent read. Another piece I recommend is the much briefer, but also insightful read by the Wall Street Journal called Hungary Referendum Tests EU’s Migrant Policy. The piece outlines some of the economic contradictions that inspire the sentiment among Hungarians: an economy that is suffering from a shortage of labor, as many Hungarians go abroad, and a people, who still oppose any migrant labor because they worry their Hungarian culture would be diluted through foreign labor. I hope you enjoy these pieces. I promise to write more soon. I did it - I finished the ride, 795 miles and countless impressions. I know many of you are waiting for the reflection on the migration posts, and I apologize in advance. The substantive posts will have to wait a little. I need to contextualize and fact-check, what I learned. That process takes time. Time, which en route I used to gather new data and impressions along the way and to finish the tour. But in the meantime, I wanted to share my impressions about biking second country, the Czech Republic: I spend the most time of my biking days on the trip in the Czech Republic. 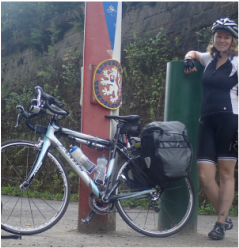 In order to get to Hungary, I had to cross the country from Prague to Vienna without the benefits of an officially mapped out Eurovelo route. Instead, I relied on local maps and the kind advice of strangers. The resulting ride was bound to have many surprises in store. 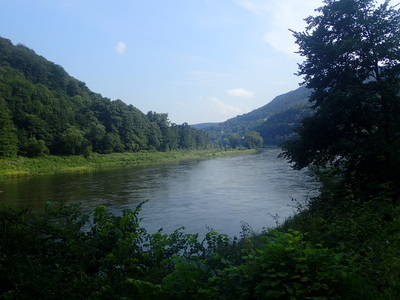 Biking Czech Republic was as beautiful as it was strenuous: It took me from the Elbe through South Bohemia, known for the Bohemians mountains, and on towards Moravia, also known for its Moravian highlands. I trained in the Appalachian Mountains close to Washington DC, so I was unfazed by everyone’s worried looks, when they warned me that it will be tough. Oh, was I humbled: biking hilly terrain three days in a row with a fully loaded bike does not compare to a speedy ride through skyline drive - but more on that later. 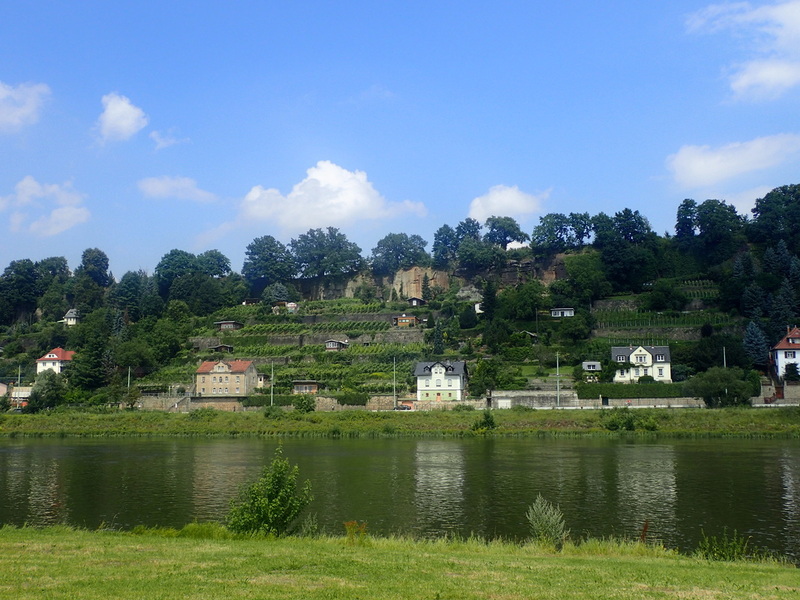 ​First I biked happily along the Elbe river bike path in the river valley flanked by the sandstone mountains, taking in the beautiful sights, crisp smells, and passing through medieval towns and occasionally by castles. 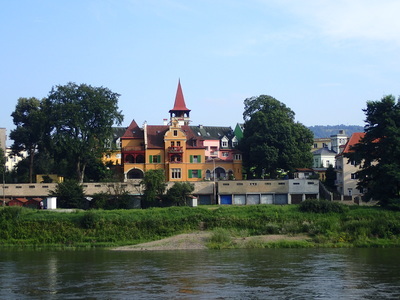 Below are just some memorable views from the river side. Right along the Elbe cycling path also lies Terezin, or Theresienstadt in German: a sight eternally marked by the horrors of the German Nazi government. 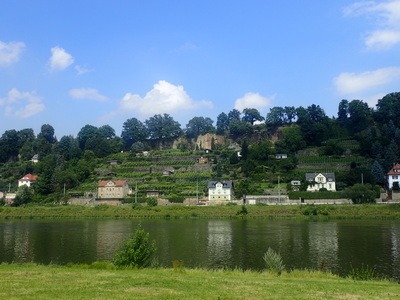 The Germans occupied the fortress, built by the Austrian emperor as a military outpost and later a Czech military town, in order to create a Ghetto and Concentration camp. I made a point to visit, and take the historical tour of the concentration camp and learned that the camp was only part of the moral abyss of Terezin. Unbeknownst to me, its Ghetto was more akin to a labor camp, in which thousands Jews perished. The Nazis used Terezin as a stopping point for deportations towards the death camps further East. At Terezin, it was the spontaneous cruelty of the guards and camp directors, which went above and beyond the ghastly machinery of the Holocaust, that deeply shook me: examples include the forced labor of prisoners to excavate a swimming pool with their bare hands so that the children of commanders could cool down from the summer heat. It was absurd imagining German kids ‘blissfully’ swimming in the middle of a concentration camp. Another example was the fighting pit; there, inmates were forced to fight to death, while commanders watched for personal enjoyment. You may wonder, why I spend so much time sharing my experience, which is related to the past. 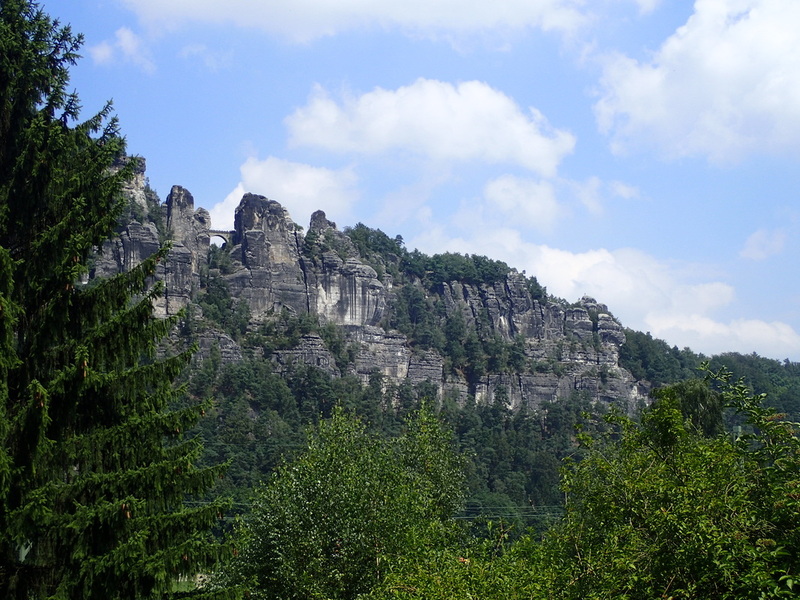 I struggled with the question whether to include it in the post on the Czech Republic, a country occupied at the time. 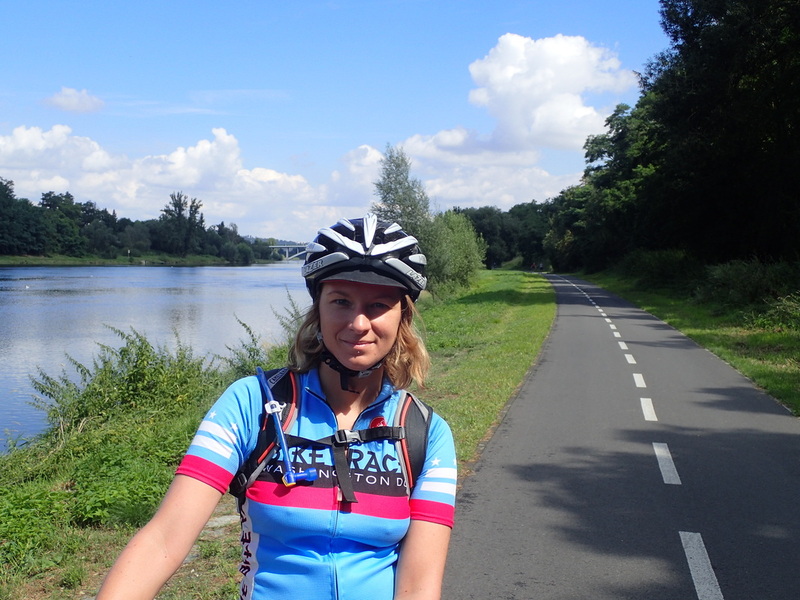 Yet, Europe's dark past has been very present for me, as I cycled this journey. It is the continent's darkest chapters, which inspired the human rights— including rights of refugees – which are now under attack by nationalist tendencies. I asked myself frequently how can we abandon lessons, we learned so painfully? 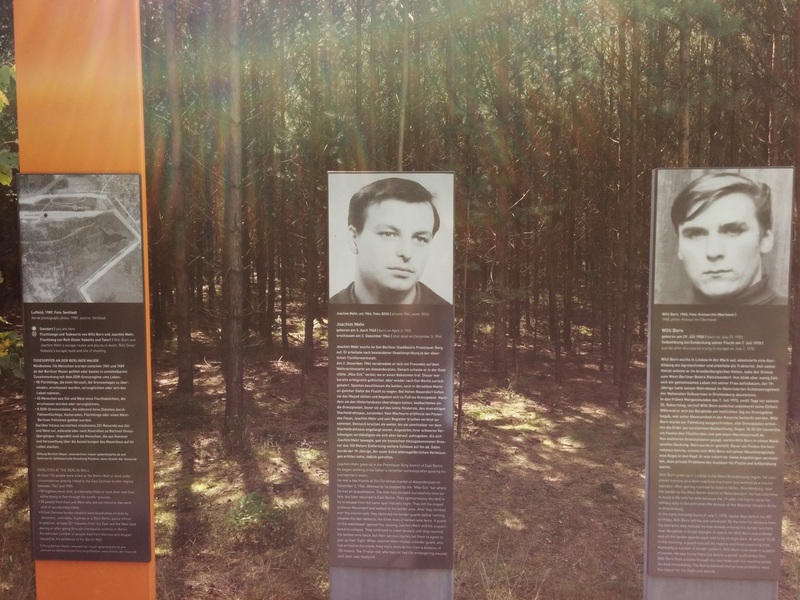 As I have cycled through the different countries, the way in which countries interacted with the history of the Holocaust was an unexpected theme: it appeared to correlate with positive or protective discourse on diversity. 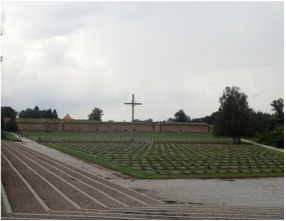 For example, at Terezin, The Czech government made the choice to commemorate the Christian victims more visibly than the Jews, who perished in large numbers and much more brutally. For example, non Jewish inmates were in over-crowded, inhumane cells, which nonetheless had wooden planks, and insufficient toilet and stove. In comparison, twice the number of Jews were forced into a similar cell with no beds, no toilets, and only one vent. They would sleep standing, pressed together for lack of space, and rotate slowly, so that everyone had a moment, where they could breath near the one vent the size of my palm. Suffocation was a nightly occurrence. Yet, the cross hanging at Terezin, triple the size of the star of David, dominates the landscape, as one approaches. The star of David is hidden in the shadows. This implicit choice speaks of prioritization of a narrative of national victimhood. Contained in this choice is a rejection of the Jewish life as part of Czech life (many of the inmates were Czech Jews). ​The latter struck me again in Tabor, another historic town I crossed in the Czech Republic; there, the Communists converted the local synagogue into a parking lot in the 1970s, because there were ‘only’ 200 hundred Jews left in Tabor, as my Czech couchsurfing host explained. After Nazi occupation, Tabor's Jews were transported to Terezin and then on towards the concentration camps further east. As I marveled at history razed to the ground, I wondered: isn't silence vis-à-vis past crimes a form of acquiescence? 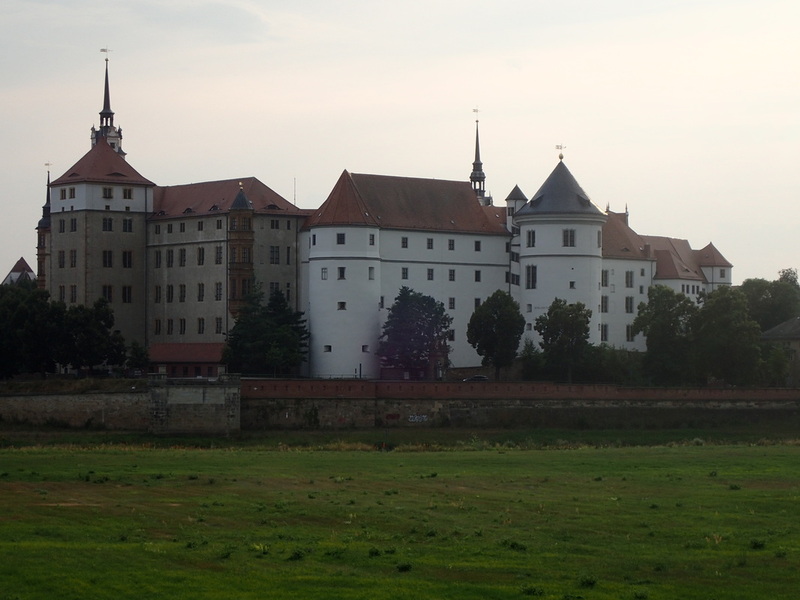 Terezin stayed with me, as I pedaled towards Prague, despite sunshine, beauty and castles. The sights of Prague were something to behold: this must be one of the most beautiful old capitals of Europe. The historic city hardly needs an introduction: its beautiful buildings, famous bridges and figures of saints, its excellent beer and proud people all gave it worldwide fame. So much so, that I missed the days when I visited it in 1995, and I could walk the streets with a measurable number of enthusiastic tourists. Now I was glad to abandon the tourist maze in search of answers to the many questions on migration I had. 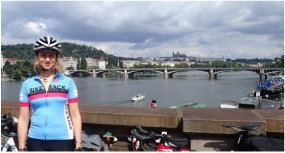 My amazing cousin joined me in Prague to cycle a week with me. It was her first bike tour. Little did we know that she was joining me for the toughest cycling of all my trip. Leaving the Elbe river, my cousin and I cycled into Moravia, into hills, which took hours to climb up, and deep forests, which muted sounds. On we cycled down through valleys, with streams, fields of flowers and agriculture, which hardly seemed to tame the country side. 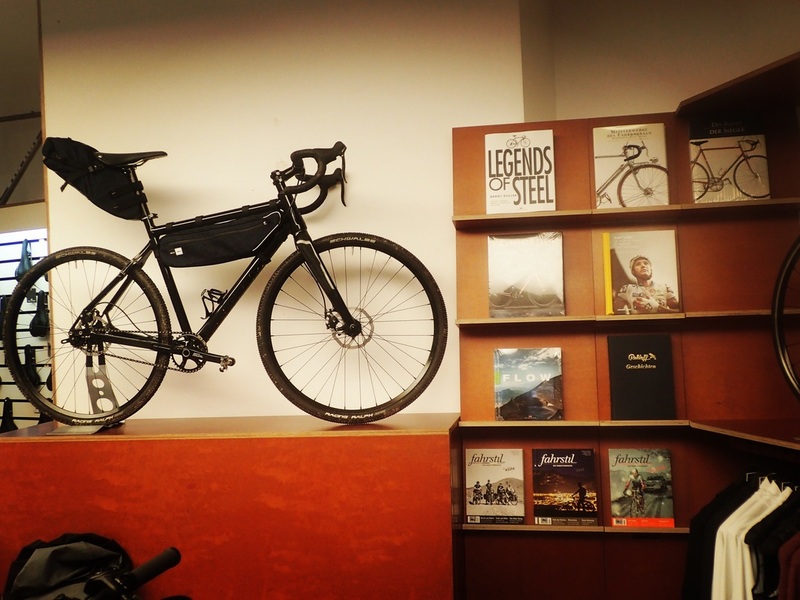 In Prague, we had bought local cycling maps in hopes of planning an excellent route. Cycling without a detailed guide meant that we had to learn, how big a small town has to be in order to have any food, and what kind of markings distinguish a paved trail from a gravel road. Thus, came days in which we strained our physical limits. First day, for example, we only ate lunch at 5pm after 65 miles the hunger only made it more delicious!). We didn't arrive to Tabor, the historical Hussite town and our destination for the day until nightfall. Oh, were we grateful for our fabulous couchsurfing hosts, who despite the late hour made sure we were fed, warm, and had a good laugh before sleep. Their hospitality warmed our hearts. Despite the learning pains, the sights were worth the long, meandering days: the gravel paths, which our wrists hated, also took us by gorgeous ruins of castles and dreamy ponds. While we cycled long, hot days, we passed streets, which were lined with fruit trees: apricots, plums, cherries, apples and pears all waiting to be picked. 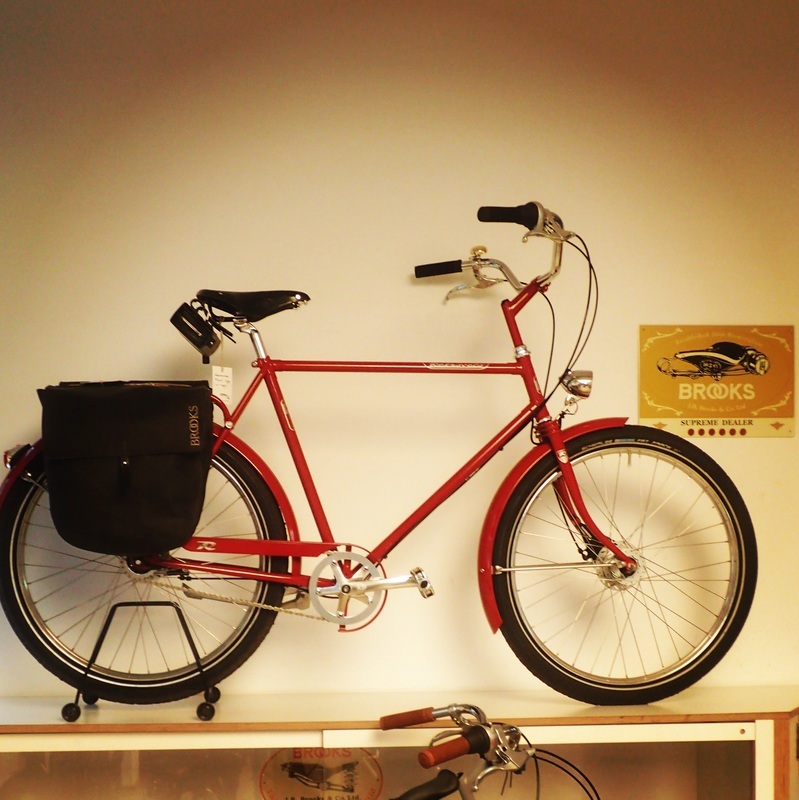 Always a tough choice, whether to break the rhythm of cycling for some fresh plums. For long stretches, we were the sole cyclists: only insects and the piercing cries of birds of prey accompanied the sound of our wheels. Such an experience is hard to describe: a meditative trance, where the cyclist’s mind completely immerses into the nature. 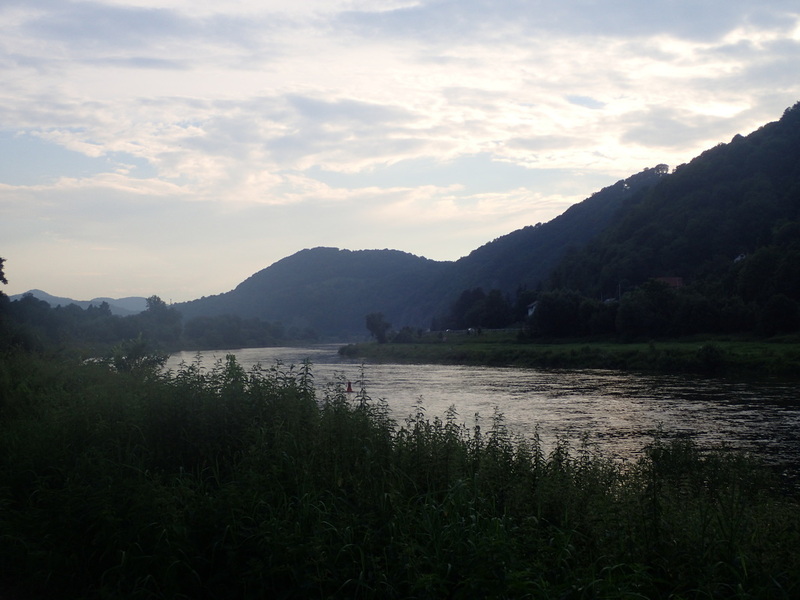 From Tabor, we cycled on towards Austrian border through the Moravian region. More hills, but a different forest: it was so thick that the light hardly reached the ground. Instead the moss grew on the trees, where the light hit the branches, giving them a golden glow. On the Austrian border lies one of the most beautiful medieval old town I have yet visited, and which is still hidden from the tourist track: Slavonice. There, we warmed up after a cool night at a campsite, fueled up with delicious, cheap breakfast, and mentally prepared ourselves for another unknown route: through Austria, for which we didn't have bike maps, but we had much optimism.